Austria uses the term “Schloss” (rhymes with Toss, almost) to refer to a castle, and while the oldest part of the cellar dates back to the 11th century, today the winery is run by two well-known names from modern Austrian wine circles – Michael Moosbruger and Bründlmayer. 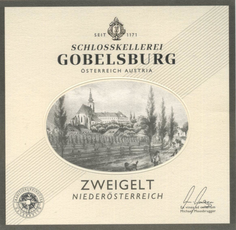 While most of Austria’s large international cellars ‘manufacture’ wines of uniformity designed to appeal to the middle ground, Moosbrugger believes the future for Schloss Gobelsburg lies in the individuality and character achieved only by reducing mechanization in favor of hands-on winegrowing. Taste the results! 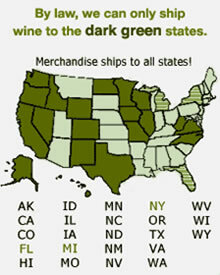 This oddly-named red grape - say ZVY-gelt (rhymes with WHY belt) – is a light-bodied, spicy red wine. Want to impress your friends? Here’s some wine trivia for you – the grape was “designed” in 1922 by an Austrian scientist named Fritz Zweigelt - a cross between two other red grapes. It is now Austria’s most widely planted red grape. The wine’s light body and high acidity make it a great pairing for a wide variety of foods. It balances the richness of grilled foods very nicely, and pairs with mild cheeses such as goats’ milk, gouda, Roquefort. Try it with sausages as well as rare tuna, the sweet-savory combination found in many Pacific Island dishes, and your favorite recipe for lamb, beef or chicken kabobs!